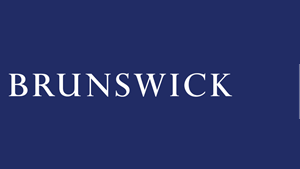 Brunswick is an advisory firm specializing in business critical issues and corporate relation: a global partnership with 23 offices in 14 countries. We help companies build trusted relationships with all their stakeholders. 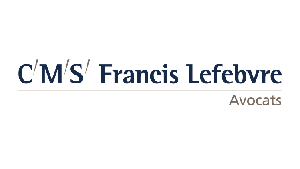 CMS Francis Lefebvre Avocats is one of the leading international corporate law firms. Its deep roots, unique positioning and highly recognised expertise enables to deliver innovative, high-value-added solutions in Tax, Business, Corporate and Employment law. Whatever the challenge, market environment or objective, we help all types of organisation throughout the economy design, implement and execute solutions across both their commercial and private management projects. CMS Francis Lefebvre Avocats is a major CMS stakeholder. Founded in 1999, CMS is the 3rd global network by number of locations. With more +70 offices in +40 countries across the world, employing over 4,500 lawyers, CMS has a longstanding expertise both at advising in its local jurisdictions and across borders. 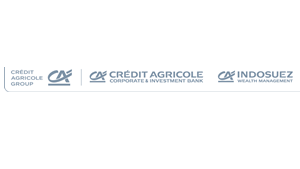 The Crédit Agricole Group is the leading partner of the French economy and one of the largest banking groups in Europe. It is the leading retail bank in Europe as well as the first European asset manager, the first bancassurer in Europe and the third European player in project finance. Built on its strong cooperative and mutual roots, its 40,000 employees and the 31,150 directors of its Local and Regional Banks, the Crédit Agricole Group is a responsible and responsive bank serving 52 million customers, 8.8 million mutual shareholders and million individual shareholders. Thanks to its universal customer-focused retail banking model – based on the cooperation between its retail banks and their r elated business lines –, the Crédit Agricole Group supports its customers’ projects in France and around the world: day-to-day banking, home loans, consumer finance, savings, insurances, asset management, real estate, leasing and factoring, and corporate and investment banking. 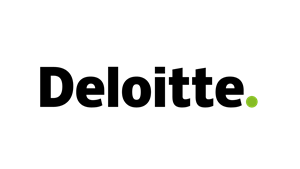 With over 150 years of hard work and commitment to making a real difference, our organization has grown in scale and diversity—approximately 245,000 people in 150 countries and territories, providing audit, tax, legal, financial advisory, risk advisory, and consulting services. What really defines us is our drive to make an impact that matters in the world. Some of the principal companies in the CAC 40 have entrusted us to teach their individual shareholders and employees, much like the financial institutions for whom we have trained their staff and clients. 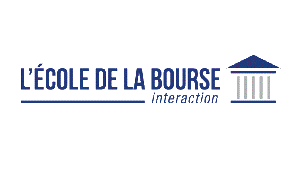 Naturally, l’Ecole de la Bourse developped tools for distance learning. Tools such as a Mearning Service management platform, e-learning modules and webinaires, among others are now at the heart of our activity. The French Institute of Administrators (IFA) is the France leading association of directors, with nearly 4,000 members working in companies of all sizes and sectors. IFA associates with its actions all those who, through their activities, contribute to the development of good governance practices. IFA is present throughout France with 8 regional delegations in Paris, Lille, Strasbourg / Nancy / Metz, Lyon, Marseille, Toulouse, Bordeaux and Nantes. JeantetFamily is the center of expertise created in 2010 by Philippe Portier, member of Jeantet ‘s Management Board, and Valérie Tandeau de Marsac (partner of Jeantet Law Firm between 2009 and 2012) to bring together experiences and skills of the firm (and external experts) devoted to family owned businesses and their shareholders. 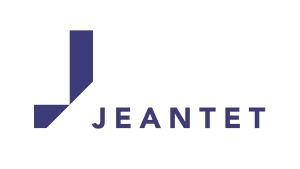 Jeantet is one of the first French Law Firm who developed professional service consulting for businesses, in particular family-owned companies, as early as the 1920’s. This know-how was passed down to the fourth generation of lawyers who now manages the firm. In 2013, Valérie Tandeau de Marsac created VTM Conseil FamilyBusinessLaw (www.vtm-conseil.com), a niche law firm dedicated to family owned businesses, while remaining the privileged partner of JeantetFamily. The offices of VTM Conseil FamilyBusinessLaw are located in the premises of Jeantet, at 87, Avenue Kléber, in Paris. The clients’ needs are addressed by teams of specialised lawyers, who appoint, whenever necessary, the competences of external specialists : experts in wealth and financial engineering, notaries, , private bankers, combining agility and a cross-disciplinary approach. 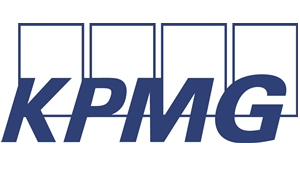 A leading provider of audit and advisory services, KPMG France is a member of the KPMG International network of independent member firms operating in 155 pays. Our 8,500 professionals serve major international companies, mid-caps, SMEs and family-owned businesses in all sectors. Our teams of professionals assist family-owned businesses throughout their life cycle, particularly when securing funding from capital markets. 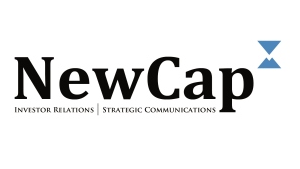 As a specialist in investor relations and strategic communication advice, NewCap supports its clients regarding their sectoral, scientific, institutional and financial communication strategies. Our approach is to accompany our clients over the long term through a relationship of trust, because we can only challenge the status quo if we ensure that actions are efficient over the medium term and if we develop partnership relations with companies. The diversity of our clients’ industrial, technological, stock market and family business profiles leads us to define the most innovative strategies vis-à-vis the increasingly diversified, multimedia and global reputation and communication challenges. 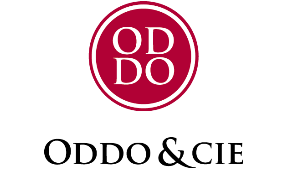 Oddo & Cie is an independent Franco-German financial services group, founded over 160 years ago. Since 2015, Oddo Group has become a Franco-German entity following the acquisitions of Seydler in Frankfurt, Meriten Investment Management in Dusseldorf and BHF bank. With 2,500 employees, including 1,400 in Germany and 1,000 in France, and 100 billion euros in assets under management, Oddo & Cie is active in France and Germany in investment banking and capital management, based on significant investment in market expertise. Analysts and IT staff account for 20% of the total headcount. The Group has a specific ownership structure as 60% of its capital is held by the Oddo family and 30% by employees. This "partnership" ethos guarantees the long-term involvement of its teams. At 31 December 2015, Oddo & Cie generated net banking income of 426 million euros, net profit after tax of 91.7 million euros and at 31 December 2015, the group had over 740 million euros of shareholders' equity.